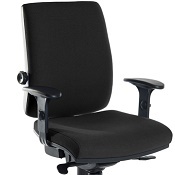 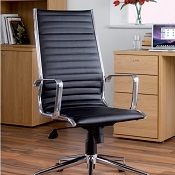 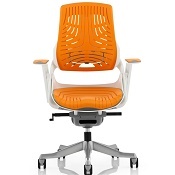 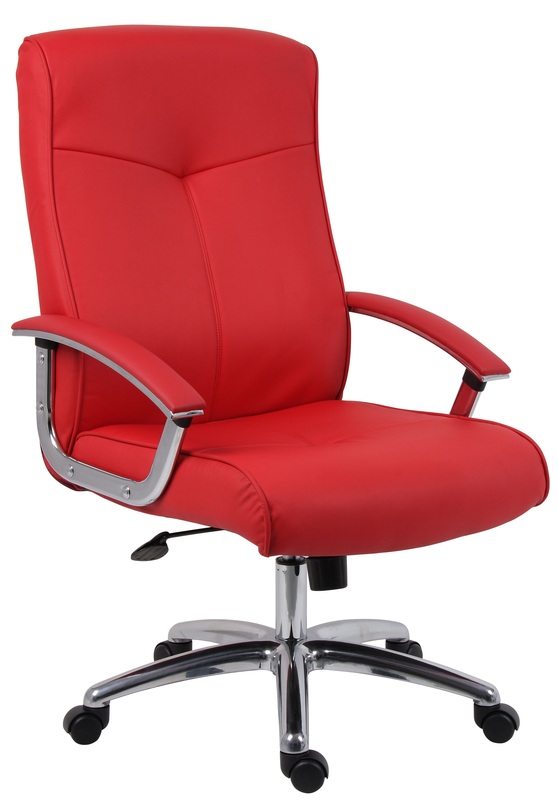 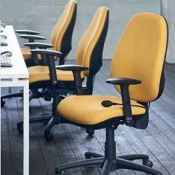 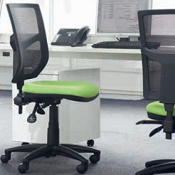 Contemporary Styled Red Leather Faced Office Chair. 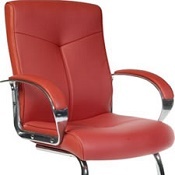 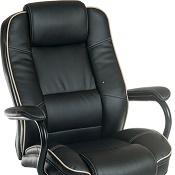 Contemporary styled red leather faced executive office chair. 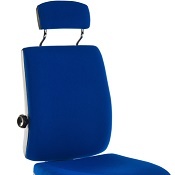 - Brushed "satin steel" arm rests and matching base. 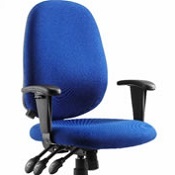 - Matching visitor chair available.